The Stardust Building Supplies warehouse in Mesa is mainly filled with salvaged cabinetry, appliances, and light fixtures but part of the space is also home to AZ Strut, a nonprofit organization that provides quality refurbished computers to schools and non-profits around the state. 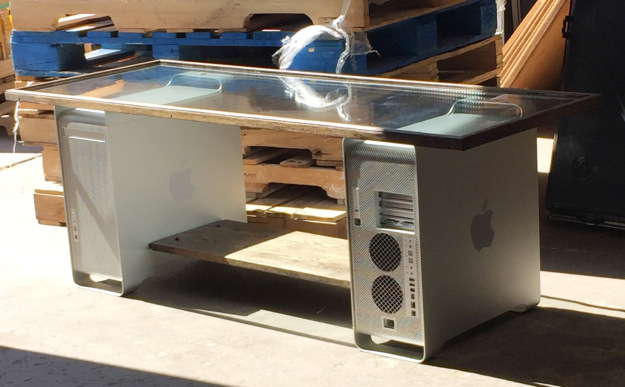 So, what happens when you combine reclaimed building materials with recycled computers? 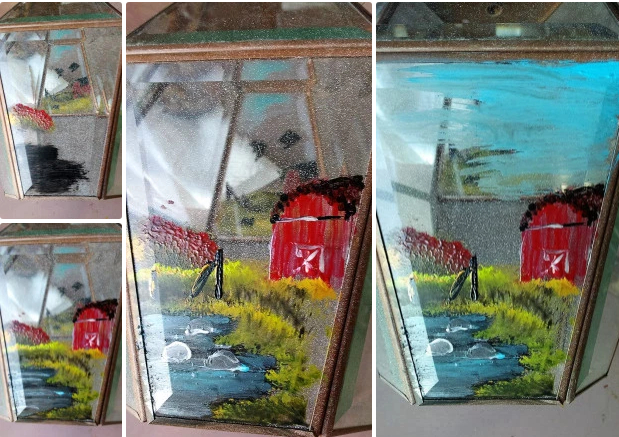 A feat in creative reuse! The Stardust Repurpose Team is at it again! 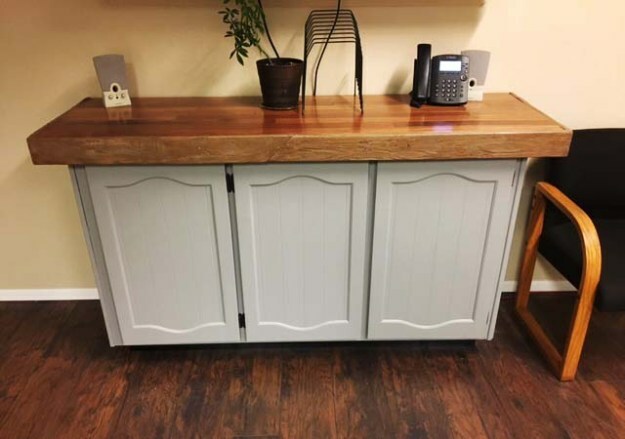 This time they built a sideboard for our conference room by reusing reclaimed base cabinets, hardwood flooring, and pallet wood. Easily replicate this DIY sideboard for your own home by following our how-to steps. In September, Stardust was lucky to receive a group of volunteers from the Intel Encore Fellow program to work with our organization for a year creating up-cycled projects with reclaimed materials. 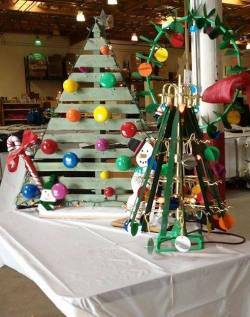 For the past month they’ve been hard at work creating recycled holiday items that are both unique and stylish. Here are tips for creating a beautiful autumn lantern. You can use your lantern as a standalone decorative piece, part of a floral arrangement, or you can hang it as artwork. Have fun exploring the possibilities!